Liberation Way, a former addiction treatment facility, was based at 90 W. Afton Avenue in Yardley, Bucks County. Prosecutors allege the owners, their businesses and several employees were involved in a multimillion-dollar insurance fraud scheme. 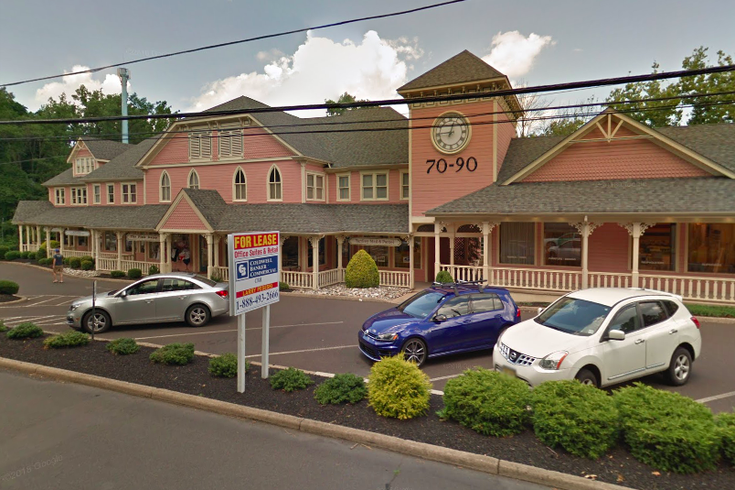 Eleven people and nine businesses connected to a Bucks County addiction treatment network have been charged in an alleged insurance fraud scheme that netted more than $44 million in profits over the last four years, authorities announced Monday. Yardley-based Liberation Way, co-founded by Jason Gerner and the late Dallas Fetterman, became the subject of a statewide investigating grand jury after evidence surfaced of a conspiracy to commit insurance fraud across multiple treatment centers, including Montgomery County locations in Bala Cynwyd and Fort Washington. Investigators alleged that vulnerable patients were exploited in a scheme that secured and paid premiums for fraudulent "high end" or "platinum" insurance policies. Liberation Way employees went out of network to drive up insurance reimbursement rates, officials alleged. While the treatment center was not permitted to pay insurance premiums on patients' behalf, employees allegedly hid the source of funds by using cash, prepaid Visa cards and the bank accounts of two non-profits established by Gerner and Fetterman, authorities said. The scheme billed Independence Blue Cross and other Blue Cross/Blue Shield companies in excess of $115 million between July 2015 and early 2018, according to prosecutors, who charged that about $17 million of that total came from overbilling, mostly for treatment that was substandard, medically unnecessary or almost non-existent. “The owners and operators of Liberation Way showed blatant disregard for the well-being of the people they were supposed to help, and for the opioid epidemic that is ravaging our communities,” Pennsylvania Attorney General Josh Shapiro said. “This public health emergency is my top priority, and our actions to combat this crisis include prosecuting those who illegally profit off substance use disorder." According to the grand jury presentment, one alleged kickback scheme involved thousands of urine tests that investigators said had been sent to a Florida lab for analysis. Liberation Way patients allegedly were goaded by employees to provide as many as three or four urine samples daily. The employees would receive cash payments and the results of the labs often were not even entered into patients' medical files, prosecutors said. When the Florida labs billed insurance companies, a portion of the fees were sent back to Gerner and Fetterman, prosecutors alleged. If the fees were not paid in full by insurance companies, Liberation Way allegedly threatened lab representatives, patients and their families, demanding that they pay outstanding balances, officials said. The urine-test scheme alone billed Independence Blue Cross for $33 million and resulted in $4 million in payouts for unnecessary lab work, according to prosecutors. Independence Blue Cross said it discovered signs of potentially fraudulent activity in 2016 and referred it to law enforcement at the time. "At Independence, we take our role seriously in combatting the epidemic and connecting people with access to the quality care they need," the company said. "As part of this work, we consistently look for indications of fraud, waste, and abuse to ensure that our members are being cared for appropriately and to act as stewards of their health care dollars." Investigators also found troubling evidence surrounding Liberation Way's treatment facilities. Patients were often directed to live at company-owned, unlicensed "sober homes" that operated outside the industry's norms for outpatient treatment, according to the grand jury presentment. Patients at these "sober homes" were not permitted to come and go freely, effectively making the properties unlicensed inpatient facilities, prosecutors said. One location in Montgomery County, known as a "party house," purportedly left patients susceptible to relapse in unsafe conditions. Some of the homes were co-ed, which is not common in addiction treatment facilities, and investigators found that Liberation Way employees allegedly were involved in sexual relationships with patients actively receiving treatment. After three years of operation, Liberation Way was sold to a private equity firm for $41.6 million in December 2017. The proceeds of the sale were divided among its owners and investors, including Gerner and the estate of Fetterman, prosecutors said. Authorities have seized about $14.6 million from the investment accounts of those involved in the alleged scheme, with additional seizures anticipated as the investigation continues. State charges include corrupt organizations, dealing in proceeds of unlawful activities, criminal conspiracy, insurance fraud and identity theft. The federal charges are for conspiracy to commit health care fraud.